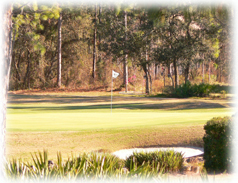 As one of the golfing hubs in the state, Citrus County offers enthusiasts a number of world-class golf courses. Instead of the ?Gulf Coast? some people refer to this area as ?The Golf Coast.? In Citrus County you are privy to more than 50 golf courses including the premier World Woods Golf Course in nearby Brooksville and Golf Magazines top rated El Diablo in Citrus Springs. World Woods is considered to have two of the top 100 golf courses plus a #1 ranked golf practice facility and driving range. Plantation Inn & Golf Resort in Crystal River provides 27 holes of challenging golf plus a 144 room resort with restaurant facilities and a full marina. Golf vacation packages are their specialty. Best of all, many of the area?s best courses are semi private so you can live wherever you like and still enjoy the best golf in the country.